The Reunion by Rachael McIntire and a Giveaway! The Reunion by Rachael McIntire and published by Elisha Press is a sweet story of unwavering love, redemption, forgiveness and hope. My nearly nine year old daughter and I were drawn into the lives of two baby girls given up for adoption as infants. We followed their life stories with eager anticipation and full of questions as to what would happen next ~ from the girls' birth to adulthood. My daughter and I had many great discussions following our reading of this thought provoking book. One child is raised in a Christian family; a family that prays together and truly follows Jesus. The other child is adopted by parents who are financially well-off, but their hearts are not full of Jesus. We see the difference parents can make, and the difference our Father makes - no matter who our earthly parents may be. pray through every situation great and small, how the children treat others that are unkind with unconditional love and forgiveness and how they trust Jesus will turn bad situations for the good is uplifting and encouraging. It's not often that Christian values are shown in such a positive way. No matter what the circumstance, Jesus is always put first. The way He would want a situation handled is always considered and prayed about first. It was such a breath of fresh air to read, and also humbling. To me, the Gladstone family is the epitome of what a Christian family should be. They've done an excellent job raising their children in a Godly home, and I look-up to their example. 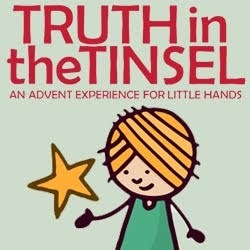 I am thankful to Mrs. McIntire, a fellow homeschooling mom, for sharing some of her own childhood experiences, (although the storyline is fictional) and penning a well written book meant to inspire and spiritually encourage parents and children alike. Read an excerpt of The Reunion here! 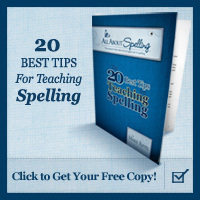 For Homeschooling 3 readers, Elisha Press is offering a $2 discount per copy through February, 2013 just use the code REVIEW-HOPE at checkout. Thereafter, the code will be good for a $1 discount per copy. Disclaimer: Elisha Press sent a complimentary paperback copy of The Reunion in exchange for our honest review. Giveaway Time!! Sponsored by Elisha Press! We brought Molly home the first December we were married; in 2000. She went on vacations with us. Visited family with us. She was our little girl. She loved to nibble my fingers as a pup. That is what she's trying to do in this picture. We'd had her for a few short days. This picture was taken in Forsyth Park in Savannah, GA. She went everywhere with us. A few years later Caraline was born and they were fast buddies, then Ryan and Jonathan. She was showing her age around the time Jonathan was born. And then she got sick this past Spring. We found out she had serious heart problems and Hashimoto's disease. We nearly lost her. Caraline made her this sweet little flower petal bracelet while she was in the hospital. She got better and was on multiple medications at home, but happy again. And we had a good Christmas 2012. Here she is playing with a new toy. Then on the night of January 5th, she passed away suddenly. Her little heart just beat its very. last. time. We were devastated. I wrapped my beautiful, Sweet Molly in a special blanket and placed her into her pet carrier. My husband took her for safe keeping to the twenty-four hour emergency vet clinic. We wanted her to be laid to rest on my brother's property back home. It would be a couple of days before my father could get our Molly there. We didn't know what to do for safe keeping, but thankfully we have a 24 hour vet office and they have a way to properly handle this situation. We stayed up til after midnight mourning her loss. All three kids and myself one big mess of tears. Thankfully, my husband could help comfort us by talking us through what a sweet girl she had been and how now she's happy and running like the wind. No heart problems to ever slow her down again. I love this man of mine with all my heart. He is a wonderful comforter. The children all wrote letters to Molly that night. They each drew pictures for her and sculpted pieces of clay for her. This was their tangible outlet. These items were for her and most are with her now....my brother and father gave her a beautiful, meaningful burial...When we visit her resting site, we will have a small ceremony of our own. 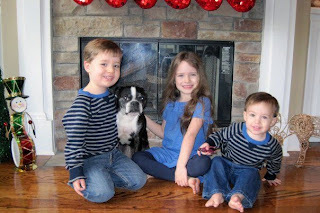 For our nearly two year old Boston, Betsy, losing Molly was hard. She stopped eating. She would lie down near the spot where Molly passed and not walk over it. Her mourning broke my heart, too. Dogs do mourn. Many friends shared their own stories confirming this fact. The emergency vet clinic mentioned to my husband that awful night that they had a sweet little one that needed a home like ours. They'd had she and her brother since they were six weeks old. (The little girl had a broken leg at six weeks and required surgery.) The vet took her brother in. I wasn't ready to hear something like this, but I was open to showing love to those that desperately need it. We loved on dogs from the humane society and from the animal control shelter and the little girl at the vet office. Seeing our little Betsy so depressed hurt. We decided to at least foster the little one at the vet clinic. They staff really thought we'd make the perfect home for her, and she'd make a great new buddy for Betsy. Here they are cuddled on me for a hammock nap Sunday afternoon. "We live near a zoo that provides a safari like experience. One of the many animals we are able to have a personal encounter with is the African zebra! Here you see our youngest gently petting the youngest of the zebras. So sweet! This little one's mommy is just in front eating from our oldest son's hand. And others from the herd are gathered around and eating from the rest of us." 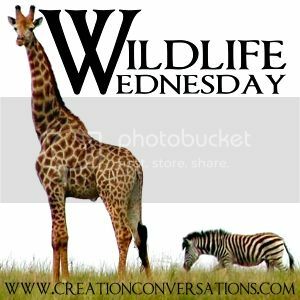 Head on over to Creation Conversations:Wildlife Wednesday for the full article and plenty of freebies to go along with our nature study of the zebra. Making recipes in the kitchen is such a fun treat for our little ones! Getting a little messy and being able to taste yummy food you've helped to create is a satisfying experience for young and old alike! 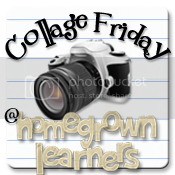 Plus, recipes sneak in math and science and provide a wonderfully fun enrichment activity! And we like FUN! Combine 2 tsp. of cinnamon with 3/4 cup of sugar in a pie dish. We practice halving the biscuits and covering the halves in the sugar and cinnamon mixture- great motor skills activity. We talk about how we can piece two halves of a biscuit back together to make a whole and how to cut a whole into two halves. Simple you may say, but a very important conversation to have with your young ones. Now we get to practice taking halves and making fourths! We discuss how many fourths does it take to make a whole? (4) We place four fourths on top of a whole biscuit. And how many fourths make a half? (2) We put two of our fourths on top of a half to demonstrate. All the while placing our pieces in a bundt pan that's been sprayed with cooking spray. Under close supervision, of course: in a sauce pan melt a stick of butter with 1 cup of brown sugar until bubbly ~while continuously stirring with a wooden spoon. *Tip: if your brown sugar has hardened into a brick, simply wrap a moist paper towel around your brick of brown sugar, place it in a microwave safe bowl and heat for 15 second intervals until soft enough. Then make sure you place your brown sugar in an airtight container in the freezer for safe keeping! Help little hands drizzle the hot caramel glaze all over the top and place the bunt pan on the middle rack in the oven. Bake for 35 - 40 minutes. Cool for five - ten minutes on a wire rack and transfer to a cake plate. Now, enjoy the yummy treat you've all helped to create while reinforcing fractions, too!